Chiropractic health care has seen a dramatic increase in interest as more people are looking for alternative health care to deal with joint issues, back issues, chronic pain and other skeletal problems. 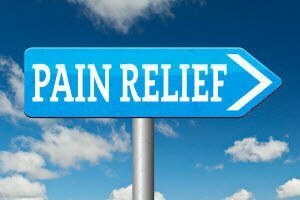 Patients who suffer with fibromyalgia and chronic fatigue have also sought relief through this type of pain management because it is natural and non-invasive. Chiropractic doctors are licensed professionals. They have been educated and trained to provide health care and therapies that focus on spinal adjustments. There are several treatment methods that are related to chiropractic health care. And instructors introduce these methods to chiropractic students during training. Chiropractic institutions require students complete years of training. These students must also become licensed in the state where they intend to practice before they can begin to treat patients. The primary objective of chiropractors is to treat their patients with natural pain management techniques. Chiropractors are able to order x-rays, read the x-rays and make joint, spinal and bone diagnoses if necessary. They also focus on the alignment of the spine. A properly aligned spine will alleviate pain as well as nurture the entire body for overall health. Who Are The Best Candidates For Chiropractic Health Care? Chiropractic care is the best option for patients who are looking for a non-invasive and low management way to heal from injuries that result from automobile accidents or other injuries that have caused joint and/or skeletal injuries. The most common injuries seen by chiropractors are neck injuries and back injuries. Patients with these types of injuries typically want to avoid an invasive procedure such as surgery, and will choose chiropractic care. Not long ago, the medical community considered chiropractic health care to be extreme or quackery. Now however, even orthopedic physicians see chiropractic care as beneficial to those with skeletal problems. It is a viable alternative natural health care option for patients of all ages. Contact us today to learn more about our chiropractic health care services.